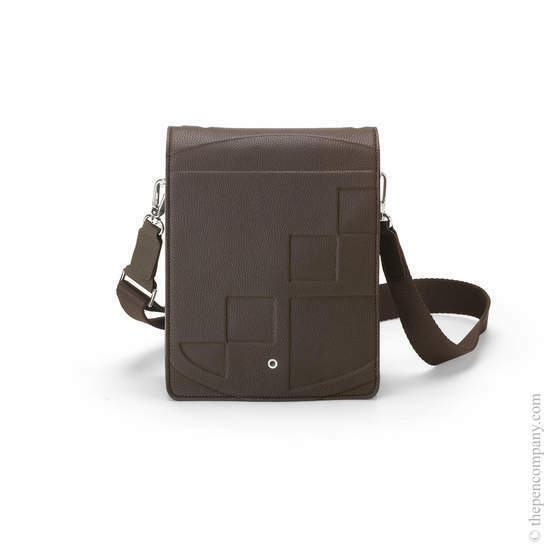 Graf von Faber-Castell's small leather messenger bag features Italian calf-skin with Graf's distinctive coat-of-arms logo as a stylised relief print. 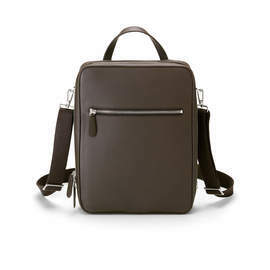 The Cashmere range combines timeless design with robust functionality to make perfect travel accessories. 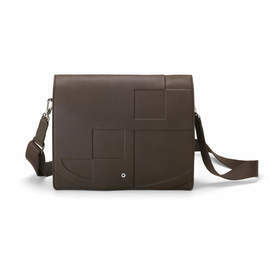 The messenger bag features dark brown or black grained calfskin leather on the exterior, with a hard-wearing orange Alcantara leather internally. An internal compartment uses a smooth-running zip for secure fastening. Various inner compartments provide spaces to hold a smartphone, a writing instrument etc.